This excellent documentary by Leslie Iwerks (grand-daughter of Ub) is about the legendary animation pioneer Ub Iwerks, the man who not only created Mickey Mouse and single-handedly animated the mouses‘ first few cartoons, but made so many other technical contributions to movie making in general. This documentary was included as an extra on the Walt Disney Treasures’ Oswald The Lucky Rabbit dvd box set. The documentary rightly concentrates mostly on Ub’s contribution to animation, thoroughly examining his first meeting with Walt Disney, his work on Oswald the Lucky Rabbit, Mickey Mouse and the Silly Symphonies, and then his branching out onto his own away from Disney. It gives a fascinating insight into the animation industry at its beginning, and about the relationship between Ub and Walt. It also examines the underhanded way that Charles Mintz stole Oswald and most of Disney’s animators from Walt, although with the exception of Hugh Harmon, none of these other animators (Rudy Ising and Friz Freleng) are mentioned. 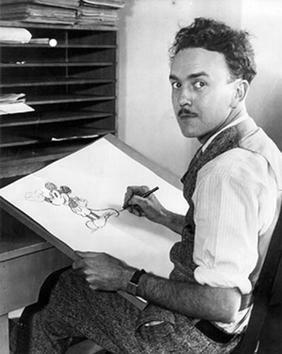 One thing that I was a little disappointed with was the way in which it skipped hurriedly through the technical innovations Iwerks made, such as the development of the multiplane animation camera, developing the processes for combining live action and animation, the xerographic process adapted for cel animation, the work he did to develop the rides at Disneyland, and the special effects work he did on Alfred Hitchcock’s The Birds. These are mentioned briefly but get nowhere near as much time as his animation career does. Overall it is a great documentary with a lot of information about one of the greats of animation. It is narrated by Kelsey Grammer and is a must watch for anyone who is interested in how the Disney story all began. 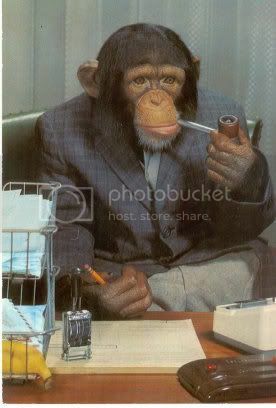 Astoundingly, the most viewed post on this blog is one in which I just posted a picture of a guinea pig lifting weights. It was not anything original or even something that was new, as this picture and several others like it came out before the 2008 Olympics, yet people just seem to like that picture. It is cute but not really something that I put effort into or anything. I have also posted some much sadder stuff, about the death of my own little Guinea Pig Pablo, and the trials, tribulations, heartache and pain that we had after his death with the pet funeral service Pets At Peace. I really wish that I could have posted more stuff about Pablo when he was alive! Now I am going to post a cartoon about guinea pigs. Hooray!!! Since this blog is named Cartoons And Comic Books I thought that it was about time that I posted something animation related as I don’t think that I have posted any cartoon stuff for a couple of months. Disney‘s Pigs Is Pigs is a cute cartoon that is as much about what can happen if you don’t occasionally bend the rules, as it is about guinea pigs. 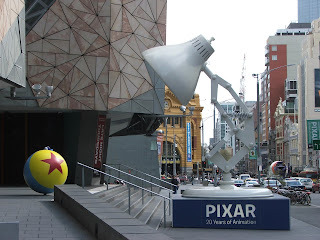 Yesterday we went to the Pixar 20 Years Of Animation exhibition at the Australian Centre for the Moving Image at Federation Square. Here is a few of the pictures that we took. Enjoy. 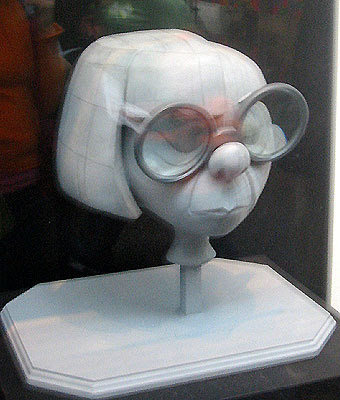 Here are some scans of some of the stuff we got from the Pixar Exhibition. The ticket has a nice stylized drawing of Mike and Sully from Monster’s Inc. 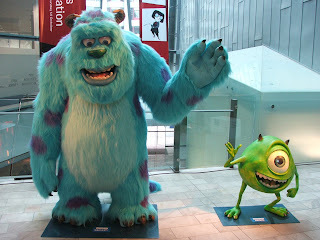 The programme has Mike and Sully too. This is an early drawing of Woody from Toy Story. Apparently Woody was originally going to be a ventriloquist’s dummy until one of the Pixar team suggested that a cowboy would work so much better. All this images were available as a postcard and as a print. This is a story board of the short film “Knick Knack“. An early concept sketch for Buzz Lightyear from Toy Story. A painting that was used for Ratatouille. 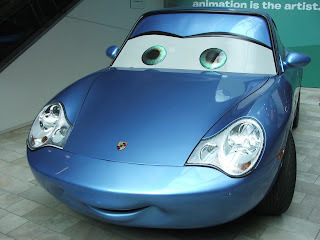 Modern computer animation no longer uses model sheets when designing a character or when instructing the animators how a character should look in a certain pose. 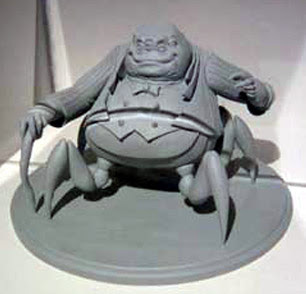 Instead they use maquettes, which is a 3D model of the character that can be moved around in different positions to give the animators an idea of scale and how the character should look. Personally I prefer the old model sheets, but that’s just me. 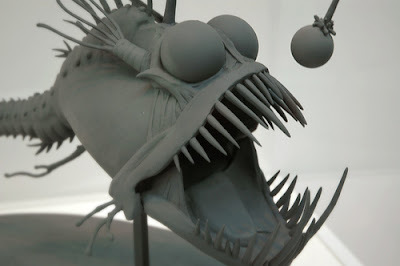 I saw these maquettes at the Pixar 20 Years of Animation exhibition at ACMI at Federation Square in Melbourne. 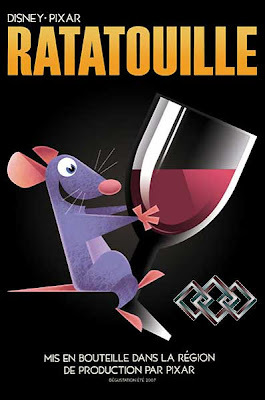 Just a post to let everyone know that tomorrow I am going to see the new Pixar film Ratatouille. I have heard great reviews for this movie and it’s by Brad Bird so it should be brilliant. I promise that as soon as I have a chance I will post a review. 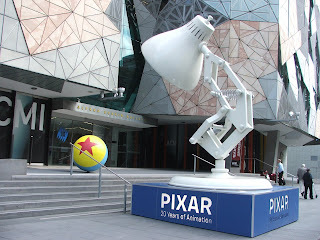 I am also going to ACMI at Federation Square for the Pixar exhibition and will post my thoughts on this outing. On a related note, I received an email from the person who organises the Kids Flicks at ACMI and they really liked my idea of showing Fleischer cartoons. I know that a few years ago they had a Betty Boop festival, so hopefully they can show some Popeye, Color Classics as well as Ms. Boop. I wonder if ACMI is aligned with ASIFA in the USA? 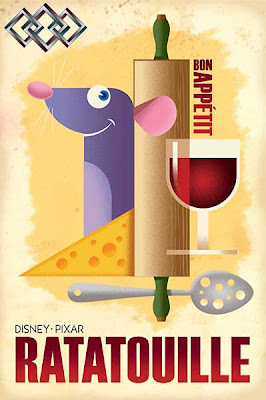 I also must say that I love the Ratatouille posters. 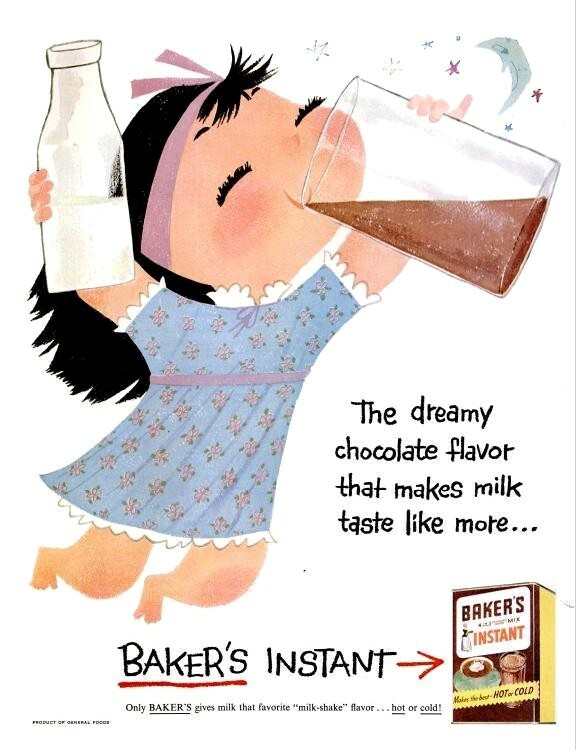 They look like the classic French advertising posters of the 1950s, as well as looking a lot like the UPA type flat animation style of the 50s.